UFC officials scheduled a date and venue for the UFC 133 weigh-in ceremony. MMA fans are invited! 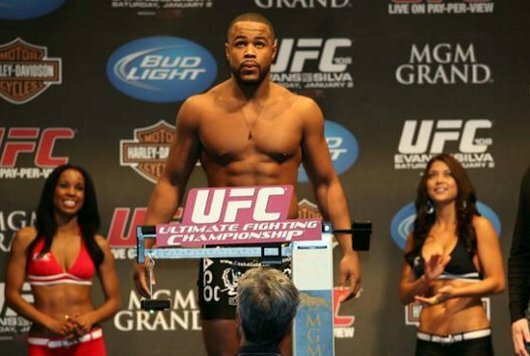 MMA fans are invited to take part in the weigh-in ceremony of the upcoming “UFC 133: Evans vs. Ortiz II” event. The said ceremony takes place Friday, August 5, at the Wells Fargo Center in Philadelphia, Pennsylvania — the same venue of the much-awaited tournament, which will highlight the rematch between Rashad Evans (15-1-1) and Tito Ortiz (16-8-1). Opening of the festivities for UFC Fight Club members begins at 12 p.m. ET. At around 2 p.m. ET., middleweight fighter – Chael Sonnen – will be hosting a special Q&A session for the UFC’s official fan club members. The ceremony will also hold an autograph session at the UFC’s Octagon Nation, which will begin at 1 p.m. ET. It will feature UFC bantamweight champion, Dominick Cruz; UFC lightweight champion Frankie Edgar; and Pennsylvania native Charlie Brenneman. The ceremony will be free and open to the public at 3 p.m. ET, while the actual weigh-ins start at 4 p.m. E.T. 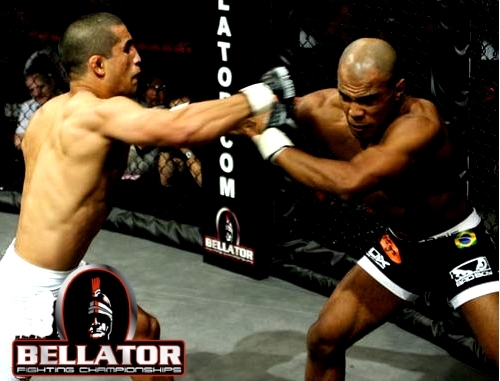 See the complete UFC 133: Evans vs Ortiz II fight card after the break. The official weigh-ins for "Strikeforce Challengers 17" event will be held on Thursday, with all MMA fans welcome to join the festivities. MMA enthusiasts are very welcome to attend and be part of the official “Strikeforce Challengers 17: Voelker vs Bowling III” fighter weigh-ins, which will be held on Thursday, July 21. The said event will start at exactly 7 p.m. ET (4 p.m. PT local time), though the venue will be open for public at around 6:30 p.m. ET. The fighter weigh-ins will take place at the Key West Ballroom of the Palms Casino Resort in Las Vegas. Are you going to be there? Tachi Palace Fights 6: High Stakes, today made their official weigh-ins. Eighteen fighters were able to meet the target weights. Today, the Official Weigh-ins for the “Tachi Palace Fights 6: High Stakes” official fighters took place at Lemoore California. Main-event card holders include Kyacey Uscola and former WEC light heavyweight champion Doug “The Rhino” Marshall, who meet middle weight special attraction and made the final bout official, meanwhile Tachi Palace Fights middleweight title contenders Anthony Ruiz and Leopoldo Serao did the same. All the 18 fighters weighed without issue including veterans “Razor” Rob McCullough, Corey Hill, Diego Saraiva and Micah Miller. Marshall (12-3) lost the undefeated belt as a middle weight after losing the 205 title tp Brian Stann dropping to 185 pounds.On the other hand Uscola (18-15) is looking forward to a post victory in his fight since the UFC 11. Two Joe's are fighting on this season of Bellator 27. The Bellator Fighting Championships hosted the fighter weigh-ins today for Bellator 27 and the 20 competitors all made it to the event. The weigh-ins took place at Sheraton Gunter Hotel, San Antonio. 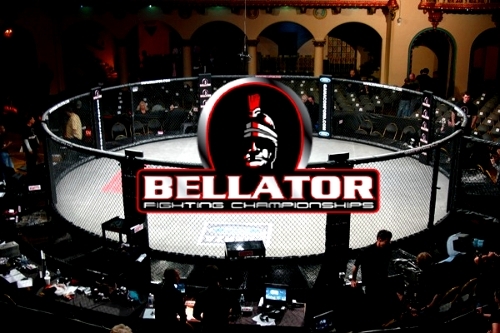 Bellator Champion for the featherweight division, Joe Soto (144.8 pounds) and season 2 tournament winner Joe Warren (143.6) were making a “No-Issue” fight for their main event which will take place on Thursday at Majestic Theatre in San Antonio. Soto, chose to strip down before stepping on the scale. Because he is fighting a battle for the title, the champion did not have a one pound allowance and had to return to or lighter than 145 pounds. Luckily, he had two-tenths pound to spare. Bellator 27’s main card also features a three opening-round bouts from the eight-field bantamweight tournament. All six event competitors were easily within the 136-pound limit. The Bellator 26 fight will take place this Thursday with high expectations. The Weigh-ins for Bellator 26 was done today and the night’s main card competitors Jose Vega (134 pounds) and Danny Tims (135.5) were successfully weighed. But prelim fighters Jeb Chiles and Demetrius Richards were not present and will make their fight final tonight. Bellator 26 takes place Thursday at the Kansas City Power & Light District in Kansas City, Mo., and the main card airs on FOX Sports Net. The weigh-ins took place at downtown Kansas City’s Marriott Hotel with a pre-fight press conference. The participants hit the scales without any issues. The six competitors made weight on first attempt while non-tourney fighters Carl and Tyler Stinson each made their catchweight contest official. For UFC fanatics, UFC’s Fighter weigh-ins on UFC 118 will be shown on Spike TV and they are having plans on announcing it on Twitter. They are featuring a lightweight rematch between Frankie Edgar and the man he knocked down B.J. Penn. The fight will take place on August 28 at Boston’s TD Garden. The weigh ins will be 1 day ahead.